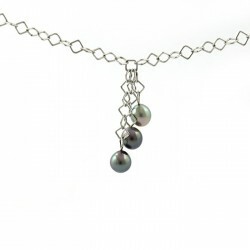 The necklaces made with pearls of Tahiti are jewels that all the women dream of, the most beautiful necklaces presented here could appear in the show room of any of the top international jewelers, they are here for a fraction of the retail price because directly sold. All the pearls of all the necklaces were selected carefully in our harvest, we guarantee the origin and quality of the pearls. We invite you to especially take your time to visit this heading, you will see that the prices are very variable according to the quality and the size of the pearls, the quality ratio/price of your purchase must be optimum. The necklace you will chose must please you for a very long time, choose it carefully, take your time, click on the photographs and the titles for a maximum of details, if you want complementary details, do not hesitate to question us, if a model attracts you but you wish modifications, let us know. We can remake the necklace, remove or add pearls, change the clasp,… all the modifications necessary so that the necklace corresponds to your wishes are possible, we want you to be in the same conditions as the ones that have the chance to visit us in our farm of Tahaa in French Polynesia. We are not a lot of people to sell luxurious produces by Internet, the thanks of our customers assure us that it is a good way to remove the “intermediaries” and to allow lovers of beautiful pearls to get “direct sale prices”. 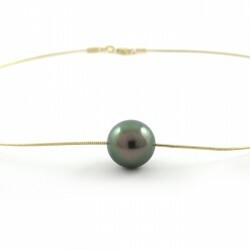 In this category, you will find pearls set on different materials : leather, silver, yellow gold, white gold. 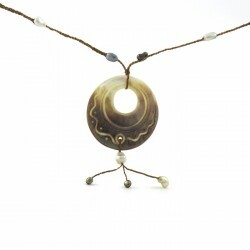 You may find classic necklaces or even modern settings.